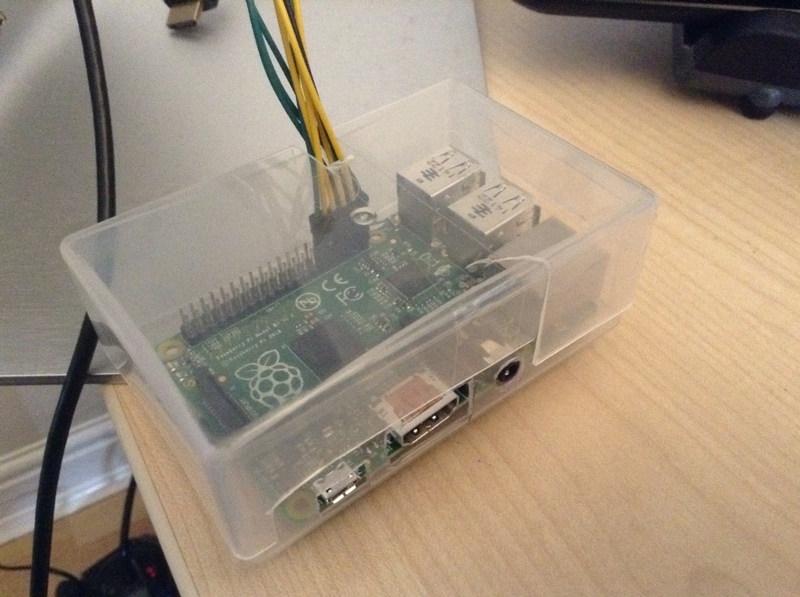 I needed a case for the RaspberryPi. The good thing about the RPi being a business card-sized computer is that it fits nicely in a plastic box from old business cards. If you look on Ebay, you can buy 20 of them for £5 including delivery. 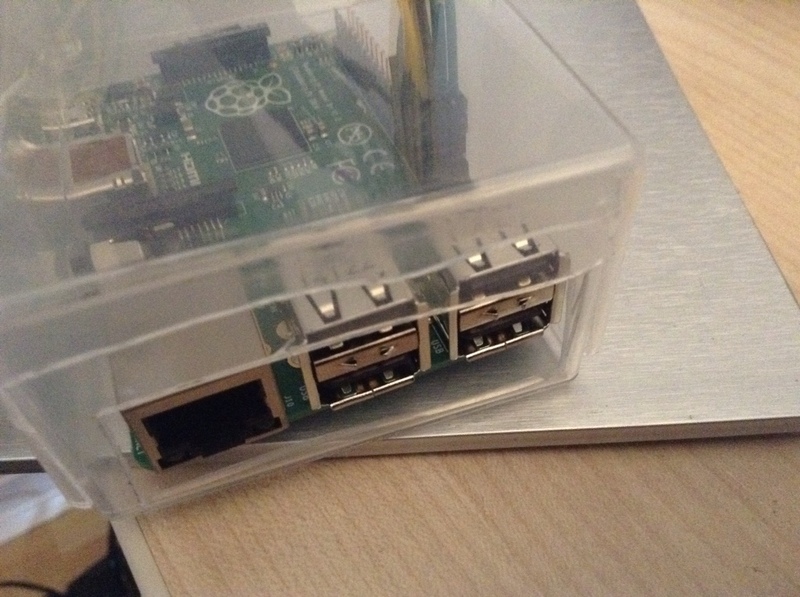 The boxes make fantastic custom RPi cases! I didn’t spend too much time and effort in cutting these accurately, but the result is fine for the purpose. 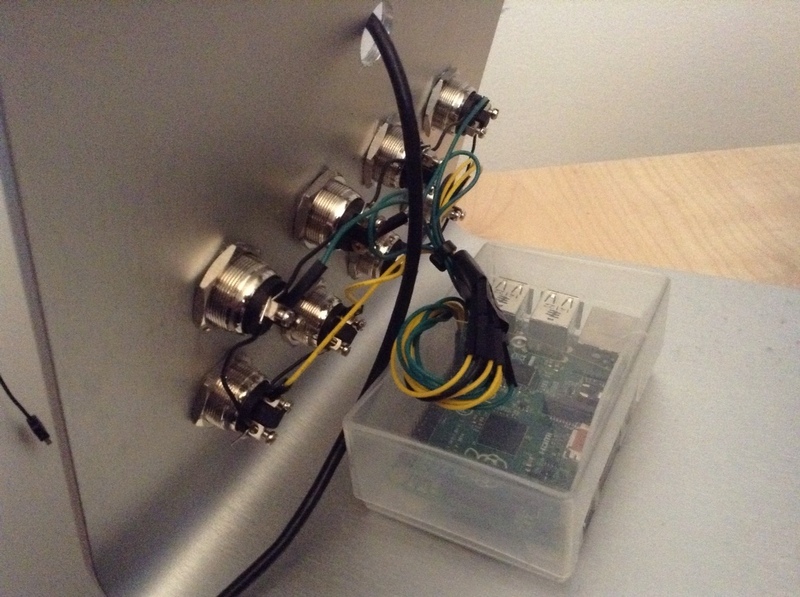 All the necessary ports are exposed and the GPio cables have a custom hole. The board fits snuggly in the box, so I did not bother fixing it. A bit of bluetack was used to stick the plastic box on the metal frame.